Loved this place! My favorite part was how environmentally friendly they are - recycle bins, reusable dishes, a bin to leave things you didn’t need/take things you did. After seeing so little of that in Asia, it was truly refreshing. Rooms were nice to with privacy curtains. Bathrooms were clean. Common area was comfortable and chill. Breakfast was just bread with jam, but it’s all homemade and delicious. Coffee, tea, and kombucha provided also. Would definitely stay here again! 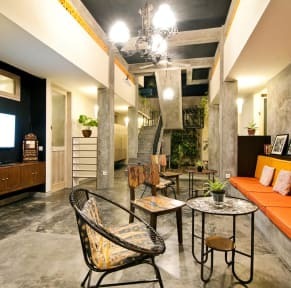 A good hostel to relax before taking a flight. The WiFi was good for the most part before it randomly cut off(not the staff fault). Their jams are really tasty and different varieties. Super close to the airport. I didn’t really leave the hostel so I can’t say much about the area. Clean hostel. Thank you! We really enjoyed staying here and only stayed here because of how close it was to the airport. If you’re looking to stay here more than a night it’s more isolated and alittle bit of a farther walk to the main streets. Room was a great temperature, breakfast was wonderful and the wifi was great! They accommodated with us leaving all of our bags there for the day because we had a late flight! If we had a motor bike we would go stayed more days! The location is a little hard to get to - my taxi got lost coming and going but once we found it there was no problem. Rooms are clean, air conditioned and comfortable. The free breakfast is basic but decent and the staff was very friendly and helpful. 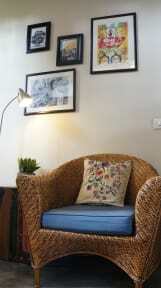 Overall a great budget option in Kuta. I only spent a night here before moving on to Candidasa but found it ideal for a cheap, comfortable place to get some sleep. Hostel is about a 30 min walk to the beach and 20 mins to main shops and restaurants. Staff weren’t the most helpful. Comfy common area. Beds were ok but bathrooms were very small. Ok hostel for a day or two and it’s close to the airport. Clean, quiet - not much of an atmosphere, which can be good or bad depending on what you're looking for. Bit far from things and down some questionable back alleys. Basic amenities (you have to pay for drinking water, so stock up before!) but kept clean and have an assortment of games/tv/a computer in the lobby area. Only one toilet/shower for rooms of 12.